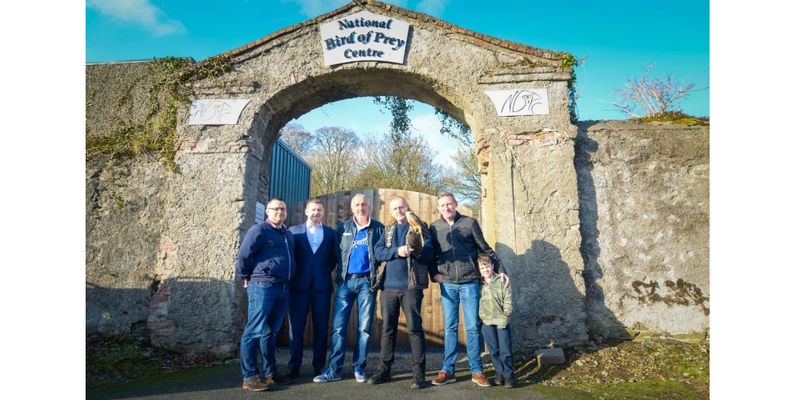 The distributor was joined by Axis Communications and local integrator Evolution in donating a security system at the National Bird of Prey Centre. From left to right: Stephen Cullen (Anixter), Mark Corrigan, Brendan McDonald (Anixter), Tom Byrne, Peter Dempsey and his son, Kayden. 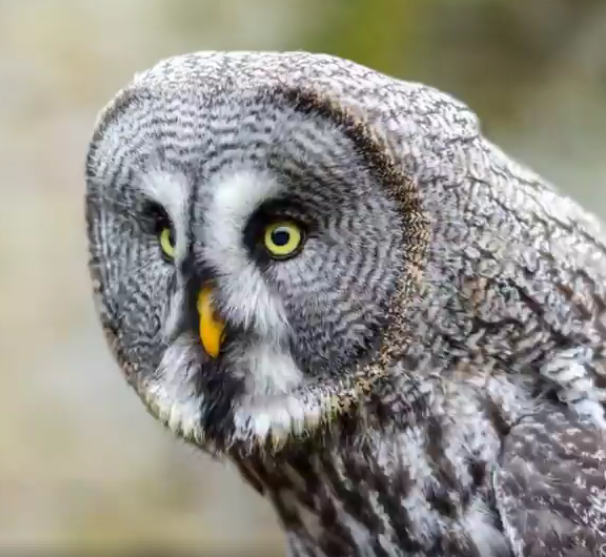 WICKLOW, Ireland — The National Bird of Prey Centre is an outdoor educational facility founded by Tom Byrne and Carol Fitzpatrick. Located here, the center is set within the grounds of the centuries-old Russborough House. The historic site boasts spectacular, natural surroundings and provides an ideal setting to observe, rear, train and fly the captivating birds of prey that reside at the center. The central objective of the center is to ensure every visitor has a memorable experience and leaves with a newfound respect for these masterful hunters. Visitors to the center can request a personal guided tour and experience close encounters with various species of eagles, hawks, falcons and owls. The center showcases and educates on birds like hawks, eagles, owls and falcons. Brendan McDonald, vice president of sales at wholesale distributor Anixter, visited the center in 2017, when he was gifted a Hawk Walk Experience as a birthday gift from his wife. During the tour, he inquired as to whether the center had cameras in the aviaries. 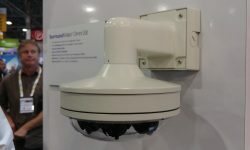 He felt that the installation of cameras could not only help improve the security of the facility, but also assist with their educational objectives and ambitions. While speaking with Byrne, he learned that having cameras in the aviaries was desirable, but the center didn’t have sufficient funding to install them. McDonald left that afternoon determined to find a way for Anixter to support the center. 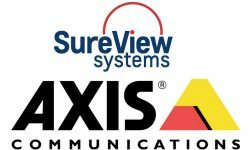 McDonald’s efforts led to Anixter teaming with supplier partner Axis Communications and a local integrator, Evolution (Electronic Security Systems) Ltd., to design and deploy a security system throughout the aviaries — pro bono. 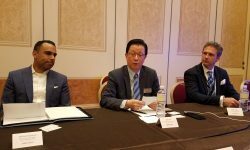 “Being able to help the center aligned with what Axis values as a company. We could see the merit in what they were trying to do and the impact the center had on the community, so it was really a no-brainer for us to get involved,” says Peter Dempsey, Irish key account manager for Axis. 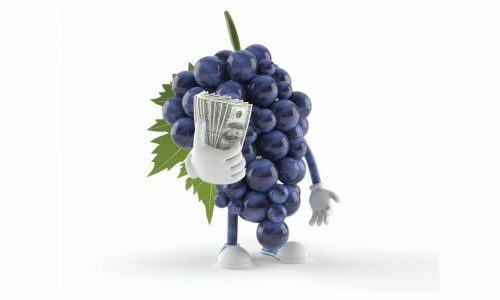 At first, Byrne was skeptical of the offer because it sounded too good to be true. “After realizing it was a genuine offer, I was absolutely floored by the generosity,” he says. 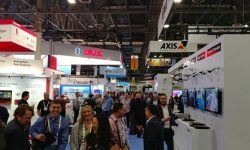 Axis provided eight security cameras and a recorder, while Evolution designed, installed and tested the system, which also included Panduit external-grade cabling, patch panels, a wire rack for terminated cables and monitors for visitors to view the video stream. In all, the project took six months. “We were delighted to be involved with this project. It’s a great experience to be able to use your skills and knowledge to help educate children and enrich the community all while giving back to a fantastic not-for-profit,” says Mark Corrigan, country manager, Ireland, for Evolution. In addition to providing security for the center, the security system has helped facilitate their educational ambitions and contributed significantly to their breeding program. The center recently celebrated the birth of a hybrid breed of baby falcons, which were conceived through artificial insemination. There is only a five-hour window during which the artificial insemination can take place to successfully produce fertilized eggs. 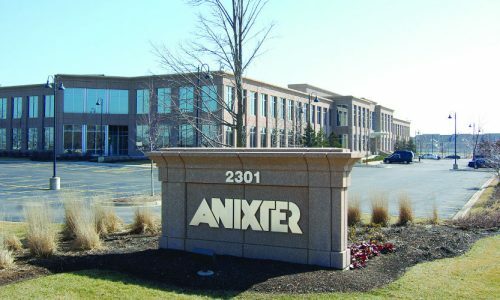 The cameras installed by Anixter and their partners allow Byrne to monitor the birds and make the one-hour journey to the center if this window of opportunity emerges outside of working hours. Byrne recently announced the successful breeding of a Lanner falcon and states the new cameras allowed him to keep a close eye on the baby falcon during his critical early days. The young falcon is now in training and has affectionately been named Alfie Anixter. 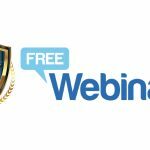 Working with Byrne and his team has proved to be an extremely rewarding experience for Anixter and its partners.